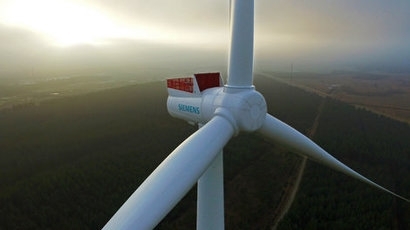 Siemens Gamesa has been awarded an order for 36 units of the SG 3.4-132 wind turbine by recognised international renewable energy developer Voltalia, the third contract signed with the company in Brazil following Vila Acre and Ventos da Serra. The turbines will have a flexible power rating of 3.55 MW and will be deployed at the VSM 2 wind complex, located in Rio Grande do Norte, northeastern region of Brazil, for a combined total nominal capacity of 128 MW. Commissioning of VSM 2 is planned for 2020.